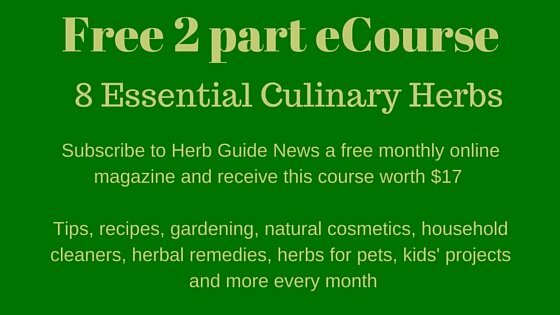 Learn the best ways to grow herbs indoors in this issue of Herb Guide News. You may need to grow herbs indoors because you don't have a garden, the growing season is short where you live, you just like to have herbs growing indoors - whatever the reasons you need to find the best way that suits you. If you're away a lot, it's no good having a couple of pots on the windowsill - they'll dry out, get scorched or cold and die. The best way for you could be a small hydroponics system. They look super glamorous in the kitchen and are excellent for some herbs. Like everything, there's pros and cons - buying pots of herbs, or planting seeds yourself is cheaper than buying a fancy unit to grow your herbs in, but if you have a little bit of spare cash, say birthday or Christmas present money, then it can be a great investment to treat yourself to one of these systems. 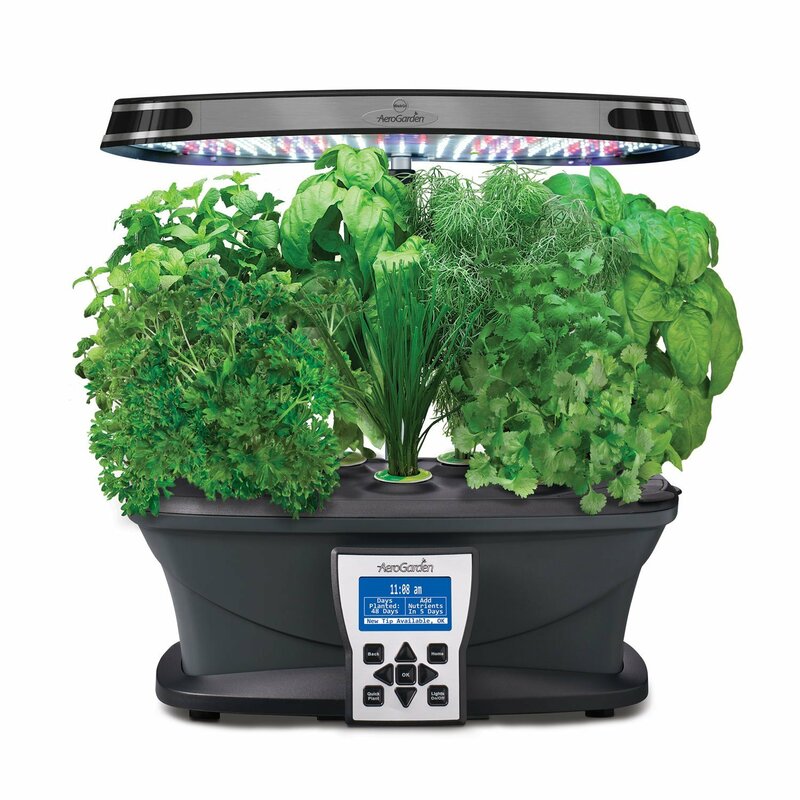 The Aerogarden is the ultimate for growing herbs. It looks so cool sat on your counter in the kitchen and it's wonderful to just be able to clip some fresh herbs as you're cooking. The larger herbs do overwhelm the smaller, slower growing herbs and it's something I'm doing an experiment on right now. I've stripped my last batch of herbs out and re-planted it, but this time I've put the parsley in only and when that shows signs of sprouting, I'm going to start the other herbs off. That way, it won't get overwhelmed - I hope! You can see how I set up my Aerogarden on this page about growing herbs indoors. 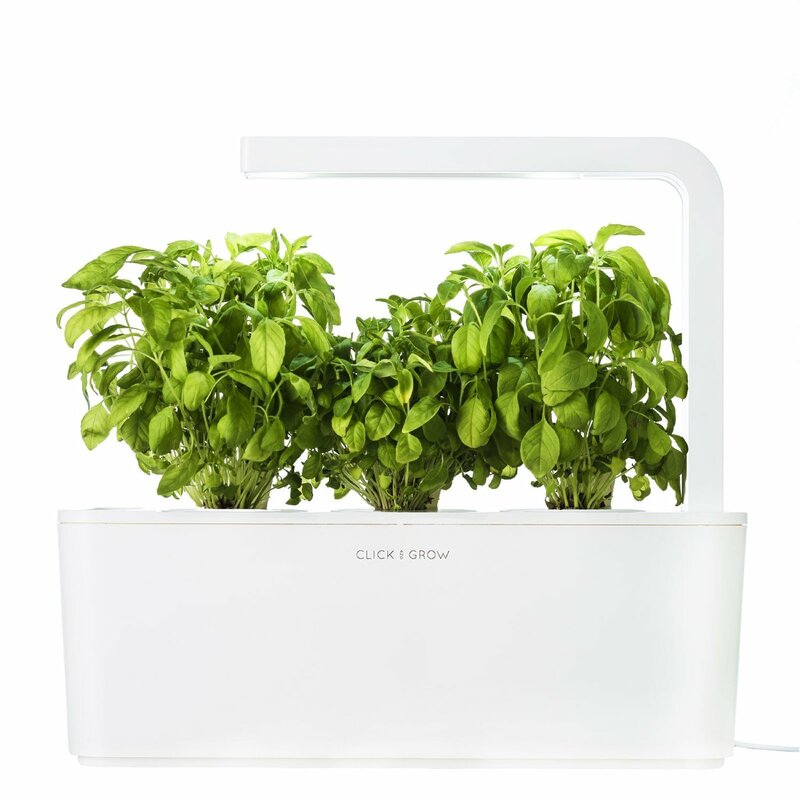 I've just bought a Click and Grow - the kit comes with three pre-seeded basil pods. That's great for me as we've just started WeightWatchers and I've got this super tasty zero points Tomato and Basil Soup that I make - a handful of basil saves me having to add ingredients which might add points. You can buy blank pods which you select your own seeds for - choose the ones you use frequently. A good selection would be basil, thyme and chives. They would play nicely together as well. Be careful about choosing a herb that has rampant growth, I have mint in my Aerogarden and that's OK because I love mint tea, so I use a handful most days. Cheapest and most versatile is the pots that you sow yourself. You can grow any type of herb whether it's rampant or not, because it's confined in the pot and can't force out the others. If it gets massive, then just move it to another spot so it doesn't overshadow the others and take their light. 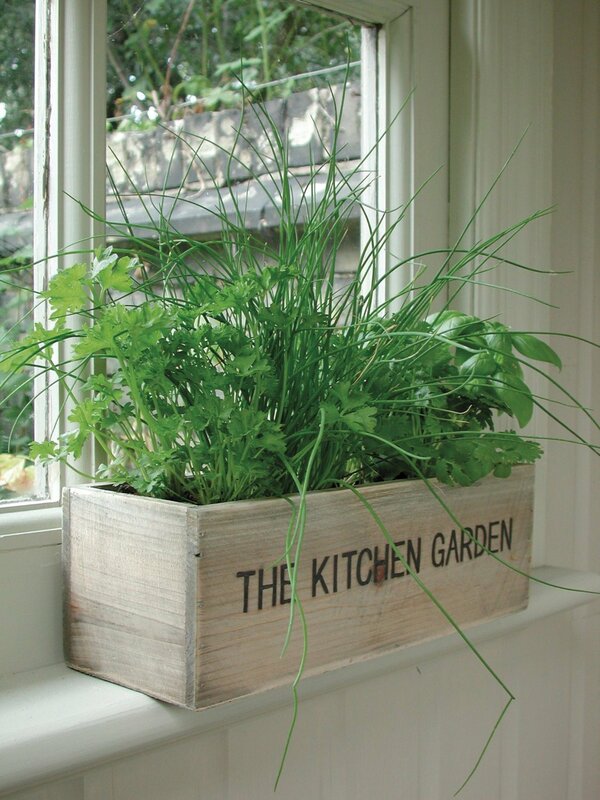 Growing herbs indoors on a windowsill can be a bit of a hit and miss affair. 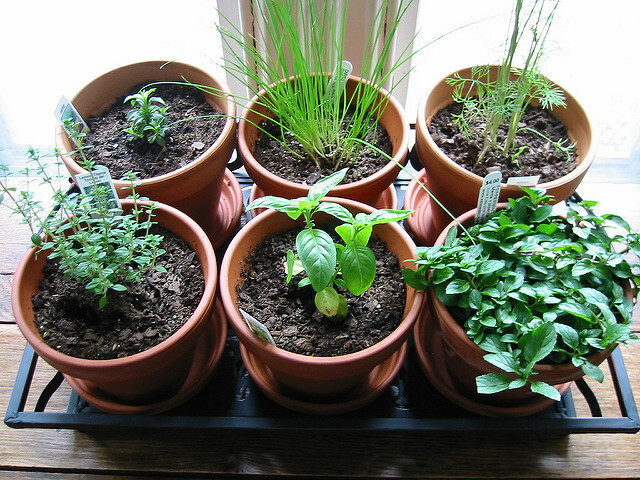 Most herbs need 6 to 8 hours of sunlight a day and it's hard to find the right aspect in your house. Click on the link above to read how to decide if this is the right method for you. The plants can get scorched if there's too much sun on really hot days and at night, the temperatures can drop dramatically. Hold your hand against the glass on a winter's night and you'll see what I mean. You can buy lovely herb growing kits with attractive holders - treat yourself or buy one as a present for a gardening friend. The main thing here, is to make sure each plant has enough space - this one's planted well. The chives which have strappy leaves anyway are growing in the middle and the basil and parsley are at the edge. I can see either cilantro or flat leaf parsley there as well and I think it seems to be doing well on the far side. It all looks lovely and you'd be proud to have that window box growing in your kitchen.